This delightful wood box finds its roots in the architecture of the Far East and has many uses, including holding 16-20 pre-packaged tea bags. Delicate hand cut Wenge legs and Wenge corner splines draw your eye to the unique shape and lines of this piece. Hinged lid, lined inside. Laser engraved messages on the inside of the lid add special sentiment to this when used as a gift for weddings, housewarmings, recognition awards, retirement, friendship etc. 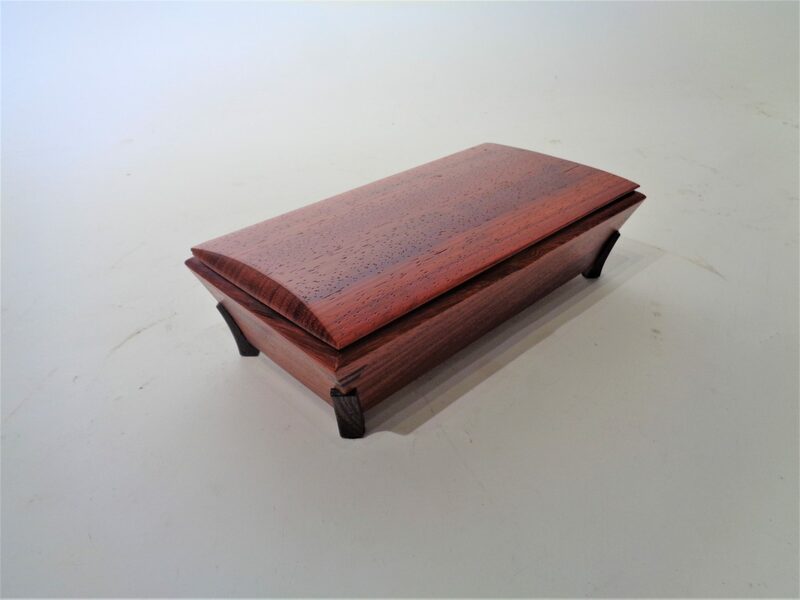 Solid hardwood box and lid.